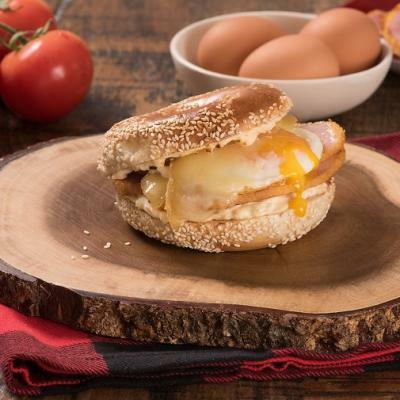 This bagel melt recipe is a quick and easy lunch. 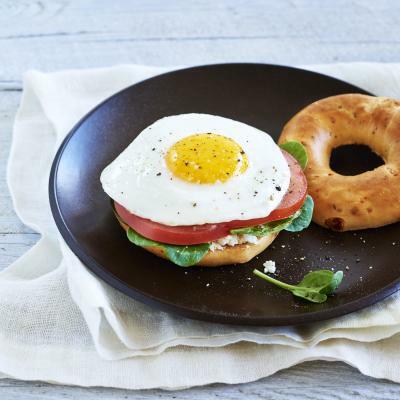 The egg salad mixture can be prepared in advance and requires only a minute under the broiler, making these open-faced sandwiches a quick meal for everyone to enjoy. 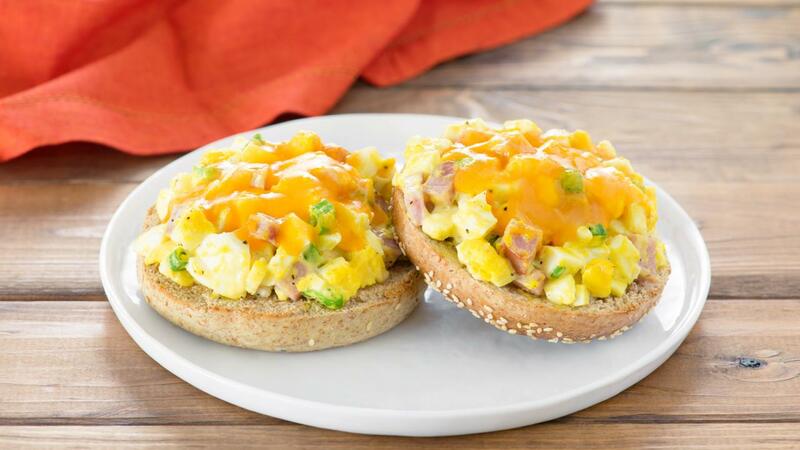 Combine eggs, ham, mayonnaise, green onion and pepper in medium bowl. 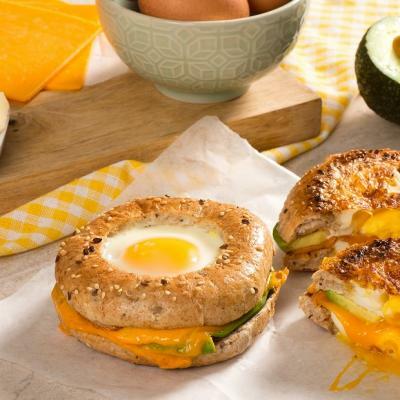 Slice bagels in half and toast. Spread egg salad on top and sprinkle with cheese.